Hello readers, you want to know how to install TWRP mode in Redmi note 4? Then this the right place. I will show gives your full steps regarding that. 1. Download the TWRP software from below download link in your PC. 4. Install steps 2 and steps 3 software in your PC. Make your phone connected with your PC. 5. 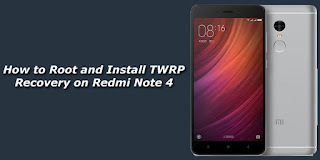 Now Transfer the downloaded TWRP.img file in ADB folder which you install in steps 2. 6. Launch the “command.bat” file from ADB folder. Run the below command to check if everything is setup well. It will return code with connected devices. 9. Now your phone automatically boot in TWRP. Now go to advanced setting and click on disable dm verify and reboot. 10.Now you can install any ROMs, MODs, Kernels & Xposed too.